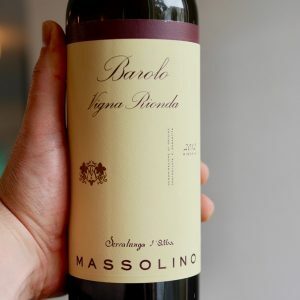 Massalino Barolo Serralunga OFFER – 2014 Vintage with a few Sneaky 2013’s too! Elegant, sophisticated, with a deceptive power, the wines of Massolino are always a delicious. The vineyards of Serralunga and the Cru’s great Nebbiolo, Barbera and Dolcetto. The first time I tasted Massolino’s wines was amongst 10 Baroli from the 2004 vintage devoured in 2015. As it turned out half were good, half, not so good! The Massolino’s sat firmly in the good half. The standard Barolo was a stunner. The Massolino Dieci Anni (10 years) Vigna Rionda Riserva was a revelation. Only released in the best years it was superb. Balanced, complex, so inviting. Watch our 1min video reviews for each the 2013’s + Giovani’s vintage report and Cru tours below. I have offered my thoughts on both the 2014 + 2013’s just above the order form. We are releasing the last of our 2013’s, very limited, with this offer + the 2012 and 2011 Vigna Rionda! Founded in 1896, Massolino Winery, is based in and around the town of Serralunga, one of the prime sub-zones of the Barolo DOC. The Massolino family’s greatest asset is of course their 23 hectares of (mostly) Serralunga vineyards, including choice parcels of such famous sites as; Margheria, Parafada and the legendary Vigna Rionda. We say ‘mostly’ as the Massolino clan recently purchased a slice of the Parussi cru in Castiglione Falletto. Serrralunga, on the eastern edge of the Barolo DOCG, produces some of most profound and long lived Barolo. It is the home of great names such as Giacomo Conterno and Bruno Giacosa’s Falletto vineyard. The wines often have an extra stuffing of intense Nebbiolo fruit as well as a remarkable minerality that plays on both the freshness of the tannins and gives the wines a certain ferrous edge when young. It is fair to say that Massolino holds the most remarkable collection of vineyards in Serralunga, amongst the smaller, quality focused producers anyway. The quality strides at this estate over the last 10-15 years have been remarkable with significant advances made, particularly in the vineyards. Certainly there has also been refinements in the cellars, firstly by Franco Massolino and then by current winemaker Giovanni Angeli (ex Vajra) who has been working with Franco since the 2005 harvest. As always however, it has been the work in the vineyards and the search for expressive and perfectly ripe fruit that has driven the rise in quality at this estate. The resultant improvement here has been very good news for both the commune and Barolo in general. Today the wines of Massolino sit comfortably among the finest of the region – they are wines of wonderful purity and elegance. They are exclusively aged in large casks, so they are ‘traditional’ and yet they offer the best of the “old” and “new” worlds: pure, aromatic, textural, deeply flavoured wines that are at the same time precise, vibrant and distinctly regional. These are wines that score extremely highly on our deliciousness scale. Equally important, these wines are remarkably well priced when compared to the other top producers of the area. We’ll leave it to Giovanni Angeli of Massolino to explain the 2014 Vintage for you. There’s no Parussi this year. 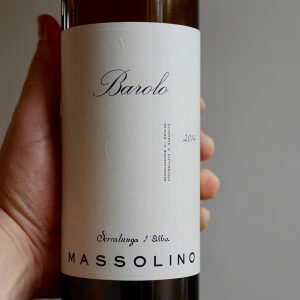 Like Vietti, Massolino is one of the success stories of the 2014 Barolo Vintage. The wines are elegant, sophisticated, with entrancing perfumes and lovely supple tannins. Giovanni really does raises such well rounded harmonious wines. Almost Burgundian in nature. Barolo DOCG Beautiful wine. Lovely sophistication, elegance and power, super fine soft tannins, lovely élévage. Floral lift with a core of fruit, great balance just on the acid side of the equation. This has come together nicely. Margheria Initially brooding it opened in the glass. Stepping up in depth and oppulence. Generous yet taught wine. Soft and supply with a lovely perfume. Long, fine, yet voluptuous. Lovely layering, looking forward to it in a couple of years. Again halmark Massolino sophistication. Parafada Powerful, with great depth. The tannin structure is slighlty less even, a little edgy. Loads of complexing secondary characters, savour, earthy. Very tight at the moment. Time will reward you. 2012 Vigna Rionda Riserva Just a superb wine. Intoxicating, delicious, rich, oppulent, long, power with restraint. Velvety, plus tannins. Great generosity with a lovely line of acid. Roses, tar, savoury, earthy. Stunning. So very sophisticated. Vibarant. Delicious. Those two extra years for the Riserva make such a difference. I could get lost in this wine! Below Giovani Angelli takes you on a virtual tour of the Magheria, Parafada and Vigna Rionda sites and explores the wines characteristics in relation to the geography and geology of the vineyards. Franco Massolino and Giovanni Angeli’s decision to allow the wines to rest an extra six months in barrel (30 months instead of 24) has proven to be a virtuous one. The vintage’s dense tannins have folded perfectly into the wine’s striking, pure fruit and forceful acidity. The result is a set of wine that will flatter in their youth, though are crying out for a good spell in the cellar (especially for the single vineyard cru). Speaking of cellaring, there is no Barolo Riserva Dieci X Anni offered this year – the 2007 was not considered compelling enough for the high standards set by this label. Instead, we focus on the 2011 Riserva Vigna Rionda, a wine that Massolino themselves believe is holding its own against last year’s release, the astonishing 2010. The Barolo Classico and Cru Barolo’s from Massolino show great depth and length of fruit with the quality of tannin, key to any good Barolo. As you shift from the Langhe to the Barolo Classico DOCG, and then up to the Cru wines from the Margheria, Parafada and Parussi both the intensity of fruit and quality of tannin lifts accordingly. Massolino have managed to tame some very intense wines, in a large part through aging the wines for an extra 6 months in barrel prior to bottling. Each of the Cru’s show unique personality. The 2013 are very tight at the moment, brooding and will definitely blossom with another couple of years in bottle. In comparison with many 2013’s that I’ve tried they have a real harmony and show the hand of a winemaker that knows how to get the fruit to express itself to it’s full potential. All in all the wines are another triumph for Massolino. Barolo DOCG poised and balanced with long even tannins. Trademark Massolino perfume, complexity and purity. Margheria with more up front tannins, lovely perfume, delicacy, wrapping an increased intensity of fruit. Parafada with an aroma of red fruit, bold front and mid-palate tannin and great complexity and layering of flavours. Having tasted the 2012 last week I can see this exactly where this is going. Parussi an almost inky density of fruit on nose and palate, longer more even tannins, more typical of Castiglione Falleto. 2011 Vigna Rionda Riserva showing just how much difference an extra 2 years prior to release makes. Expressive, generous, elegant refined, with such poise and balance, the intrigue and complexity of the wine entice. It’s a triumph and is a great example of just how good many of the 2011’s from Serralunga were. Your tongue will thank you! *We will only receive a few bottles of the Crus. 1st come 1st served. Giovanni, the Serralunga Master has been at it again! From $270 in any 6. First produced in 1911, the fruit for Massolino‘s classic cuvée is selected from seven sites (inc. Briccolina, Collaretto, Broglio and Le Turne), representing roughly seven hectares of prime-sited Serralunga vineyards. The vines that feed this bottling are between 10-55 years of age, and it spends 24 months in large Slovenian oak casks. This is normally 100% Serralunga but, this year, all of the fruit harvested from the Parussi vineyard in Castiglione Falletto, (about 25% of the normal yield and not enough to make a single cru wine this year), went into this wine. As the note below makes clear, this is an absolutely outstanding release of this wine – perfumed and pure-fruited with juicy redcurrant, rose and tobacco notes and a fine succulent structure. The Margheria vineyard is one of Serralunga’s most important and illustrious sites. The Massolino family bought their first parcel here in 1964 and the rest throughout the ‘70s. They currently hold 1.5-hectares making them one of the three main owners in this 8.1-hectare vineyard, along with Gaja and Luigi Pira. Sitting at 340-metres above sea level, Margheria is a very chalky vineyard with a good percentage of sand, which brings perfume, finesse and a spicy, mineral complexity. In a sense, it is atypical of Serralunga in terms of both the sandiness in the soil and the elegance and prettiness of the wine. It is also the Massolino wine that drinks best when young. This was aged in botti for around 24 months before bottling and then remained in bottle for a further year before release. True to form this is so perfumed and pretty with bright cherry, grenadine and floral, sappy aromas and flavours. So delicious now with food but Galloni is quite right to suggest that it will only get better and better with age. In 1957, Parafada became the Massolino family’s first iconic parcel of Serralunga and it is still home to their oldest vines. Massolino own a 1.13-hectare parcel in this 7.92-hectare vineyard. It’s a steep vineyard that rises from 300 to 340-metres a.s.l. and faces due south, catching the full face of the sun. These factors, plus the denser, more compact, lime/clay soils typically result in the richest, most powerful wine of the three Serralunga crus. Again, this is a wine that is getting better and better with each vintage, producing better balanced and more delicious wines than ever before. Much denser than the Margheria, this offers layers of red plum, orange zest, tobacco and earthy aromas and flavours and a chewy, structured persona. Again, it is great with the right food and a good decant now but will start to be at its best from 5-10 years. Vigna Rionda is historically the most revered vineyard of Serralunga, the source of some of the greatest, finest, yet most robust and long-lived Barolo. The soil here is similar to the Parafada vineyard (limey/chalky marls), yet it is deeper again, there is more chalk and also a higher concentration of minerals and oxidized iron elements. The deeper soils, the altitude of 330 metres above sea level and the protection from northern winds and frost that the south/southwestern slopes affords means that Vigna Rionda has a longer growing season than the other crus. All these factors combine to produce a terroir that gifts wines with an optimum balance of perfume, finesse and structure rarely found elsewhere in Barolo. It also produces a wine with excellent acidity and tannins that require a longer ageing in botti and bottle. That is why it is released with a minimum six years of age. The Massolino family are the largest holders in the Vigna Rionda with 3.5 hectares (2 planted to Nebbiolo). The wine from this exceptional site begins life as a coiled spring, which is why Massolino releases it with extra age: at six years (for the standard Riserva release) and ten-plus years for the Dieci X Anni release. With enough age, Vigna Rionda blossoms into an intensely perfumed, ultra-fine, pure and succulent wine with very fine tannins. Drawn from 38-45 year old vines, Franco Massolino expresses that the 2011 Riserva has been building up to a simmer; that, in Piemonte, the top growers are whispering that the best 2011s are much closer to the quality of 2010 than initially thought. Here’s a case in point, though the style is more swashbuckling – open and succulent – than its 2010 counterpart. The notes below do the wine justice. So much personality; beguiling purity of soft fruit, balanced and penetrating, with streamlined acidity and a lick of oyster shell contributing vineyard flavour. A very, very impassive, resonant Vigna Rionda. Oh, Serralunga! as Luigi Veronelli might have sighed. First produced in 1911, the fruit for Massolino’s classic cuvée is selected from seven sites (inc. Briccolina, Collaretto, Broglio and Le Turne), representing roughly seven hectares of prime-sited Serralunga vineyards. The oldest vines that feed this bottling are 55 years old (the youngest are 10), and it spends 24-30 months in large Slavonian oak casks. This has all the makings of a classic; beautiful cherry blossom, purity and gentle, wild strawberry fruit, and the allusive complexity and compact, seeping tannin of a great Massolino Barolo. Very beautiful aromas of orange peel, plums and berries follow through to a medium to full body, firm and silky tannins and a long finish. Better in 2019. 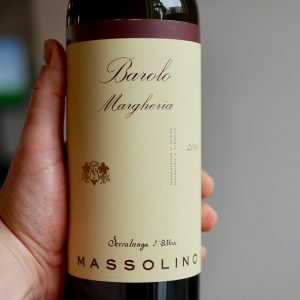 Readers will get a good sense of what the vintage offers at Massolino with the 2013 Barolo. Deep, layered and ample on the palate, the 2013 exudes depth and aromatic intensity. Dark red cherry, plum, wild flowers, mint and savory herbs are laced into the super expressive finish. Readers should not miss this drop-dead gorgeous beauty. This is the first bottling of the base Barolo. And it is terrific. The Margheria vineyard is one of Serralunga’s most important and illustrious sites. The Massolino family bought their first parcel here in 1964 and the rest throughout the 70s. They currently hold 1.5 hectares. Sitting at 340 metres above sea level, Margheria is a very chalky vineyard with a good percentage of sand, which brings elegance and a spicy, mineral complexity to the natural depth of Serralunga. This was aged in botti for around 30 months before bottling and then remained in bottle for a further year before release. Nine times out of ten, Margheria is the Serralunga cru that seduces best when young. It starts with enticing mineral notes segueing into dried flower and inky plum fruit. The plate is all sweet woodland earthiness and pretty red fruit wrapped in a sung blanket of elegant, liquid-silk tannins. A Barolo with lots of cherry jam, chocolate and hazelnut character. Flowers too. Medium body and beautifully polished tannins with a fantastic texture. Hard not to drink now but made for aging. Tasted from cask, the 2013 Barolo Margheria is a classic Serralunga wine endowed with serious tannins, soaring aromatics and fabulous depth. Rose petal, savory herbs and licorice give the wine much of its layered, sensual appeal. Still raw and in need of further aging, the 2013 is shaping up to be a real beauty. In 1957, Parafada became the Massolino family’s first prime parcel of Serralunga and it is still home to their oldest vines. Massolino own a 1.13 hectare parcel that rises steeply from 300 to 340 metres above sea level and faces due south, catching the full face of the sun. Thesefactors, plus the denser, marly, lime-infused, more compact clay soils, typically result in the richest, most powerful wine of the three Serralunga crus. Again this is a vineyard that seems to get better and better with each vintage, producing better balanced and more delicious wines than ever before. Again, 30 months in botti and here there’s a dark seam of vivid, fleshy fruit – black raspberries macerated with sweet herbs – to complement the vineyard’s deep, refined structure. For all its athleticism, it’s an engagingly restrained Barolo of enticing beauty. Pretty aromas of wet earth and spices with black pepper and licorice. Medium body with full and defined tannins. Dense and powerful. Need three or four years to soften but will come along beautifully. Tasted from cask. The 2013 Barolo Parafada is dense and powerful through the middle. The Parafada often has a big center of fruit and fewer of the more ethereal, perfumed aromatics of the Margheria and Rionda. That is exactly what comes through here. Dark cherry, iron, smoke and expressive floral notes wrap around a core of intense fruit. The Massolino clan purchased a 1.3 hectare plot of this cru in 2007. It is the only Barolo vineyard they own outside of Serralunga. Parussi is in fact situated close to the Serralunga border, but in Castiglione Falletto. The iron rich, ‘blue’ clay soils here are a little lighter, more oxygenated, with more silt and less clay than Serralunga. This makes for more vigour in the vines and a completely different style of wine. The Massolino family were attracted by the excellent south-easterly and south-westerly exposure of the vines, the vineyard’s situation at 300 metres above sea level on the crest of the hill, and the 45 year old vines. They are today the only Barolo producer to bottle a single vineyard wine from this cru. So it’s an important wine. The commune of Castiglione lies closer to the geographical centre of Barolo and generally generates a more masculine wine with tannins that can be more prominent when the wines are young. This might be the best example of Parussi so far. The Massolino team are getting a deeper understanding of this vineyard with each vintage and have evolved the viticulture and the winemaking. Most significantly they are now performing a more gentle extraction and the result is far more finesse than we have seen in previous releases. Wow. Again, this showcases the elegant, scented enchantment of the best 2013 Barolos, here wreathed in enveloping, mouth coating tannin to go with the long sinewy backbone drenched in red-fruit fragrance. Aromas of oranges, mandarins, and raspberries follow through to a medium body, with a well-defined texture of round, ripe tannins. Chewy, precise finish. Drink in 2020. Tasted from cask. 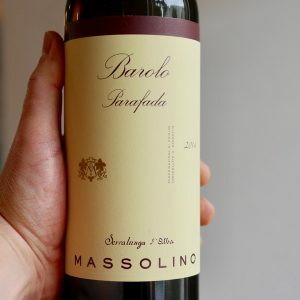 The 2013 Barolo Parussi, Massolino’s single Barolo from Castiglione Falletto, is exceptionally beautiful and vivid. Crushed flowers, spices, leather, cherry and plum notes all lift from the glass. Perfumed and fresh, with striking palate presence and all the finesse of Castiglione, the Parussi dazzles today. All the elements are in the right place. Simply put, the Parussi has it all. The 2013 could turn out to be the first Parussi that challenges some of Massolino’s Serralunga Barolos. It is every bit that promising. Aromas of mushrooms, rose petals and blackberries follow through to a full to medium body, tight tannins and a fruity finish. Needs time to open. Better in 2020. Impressive. An embryonic, yet fascinating wine, the 2013 Barolo Riserva Vigna Rionda is both haunting perfumed and also massively tannic. There is no rush, as the 2013 won’t be bottled anytime soon. Nevertheless, it is fascinating to catch the 2013 at this early stage in its life. I have often written that Rionda is the Musigny of Barolo. In 2013, Massolino’s Rionda is like a top Musigny but with the tannic spine of a superb Bonnes-Mares.